Hi all, hope all you had a great Fathers Day. Sunday training recommences this week at 10 am. Also next week we are starting training on Tuesday and Thursday afternoons. We will try to start at 5pm, bit hard for us working in city but those who can make it can use what light there is. U17 team to train with senior squad. Only one month to go for season start so now is the time to get cracking. Hopefully council will have a ground / pitch available for a T20 practice game on 25th September. We are planning a season opening function in the new McMahon Pavilion clubrooms, great way to mix with our new players, meet our international recruits and catch up with sponsors and special guests of our club, date to be advised. Although not official yet there is a fixture on MyCricket for Mc’s and C grade. Lower grade structure is still undecided. We will be announcing all Junior coaching roles and training times by the end of next week. U17 team to train with senior squad. Sunday training recommences this week at 10 am. Also next week we are starting training on Tuesday and Thursday afternoons, 5 pm. Milo cricket is one coordination position still unfilled, without your help it may not be possible to run this program, so please get in contact with the club so we can make 2016/17 even bigger and better. Milo can be run on either Friday or Wednesday afternoon, so please if you are able to help, let us know. 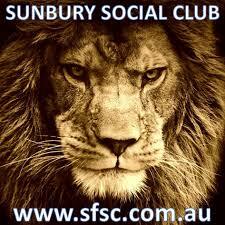 Previous PostMilo In2Cricket Coordinators requiredNext PostT20 Blast comes to Sunbury !